NEW AT CAPPS! The new PACKOUT™ Modular Storage System from Milwaukee Tool allows you to interchange and interlock a wide assortment of heavy duty tool boxes, organizers, and storage totes in multiple configurations. 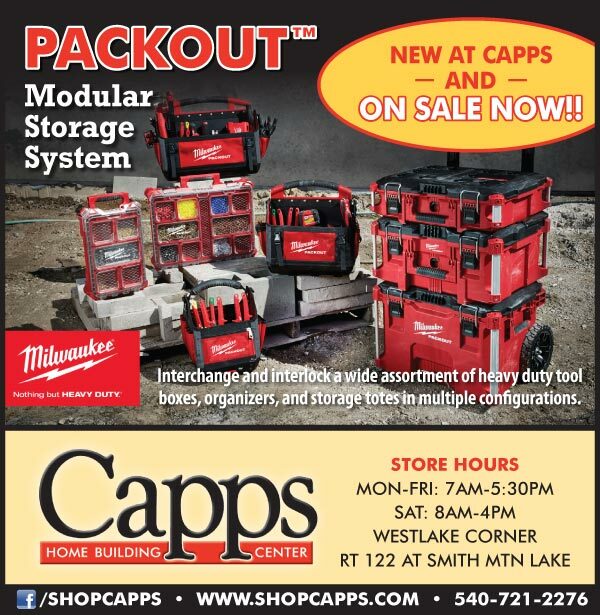 Stop by and visit with our retail tool specialists to get an up-close look at this revolutionary, versatile and durable modular storage system. Sale posted 7/18/18 and ends 8/1/18.